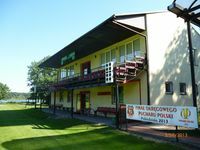 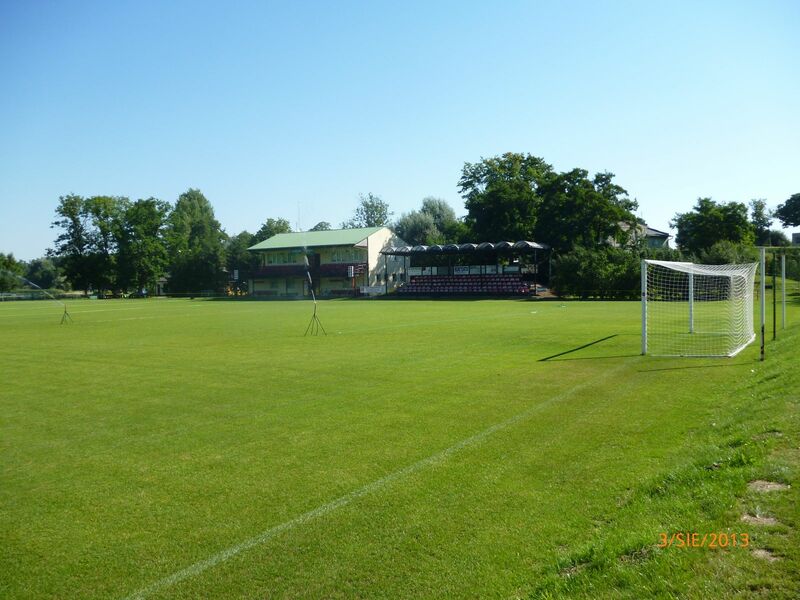 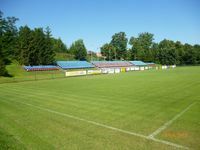 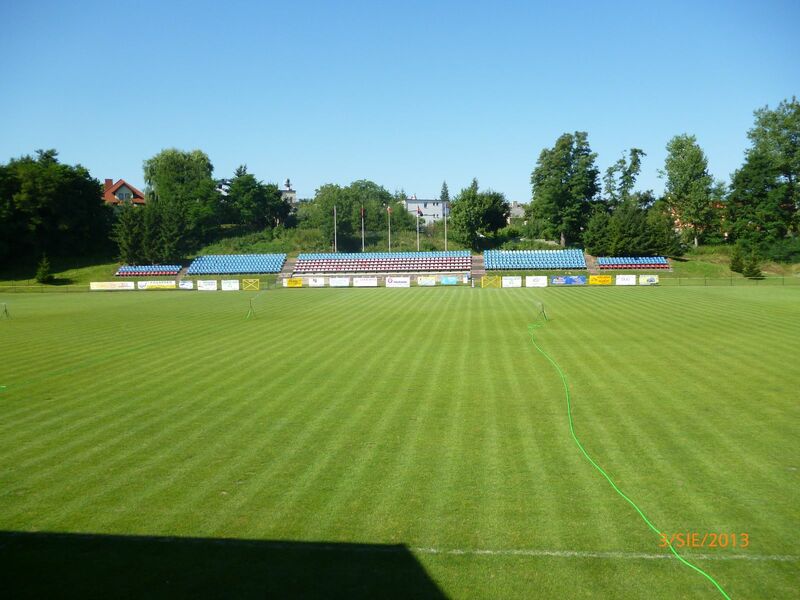 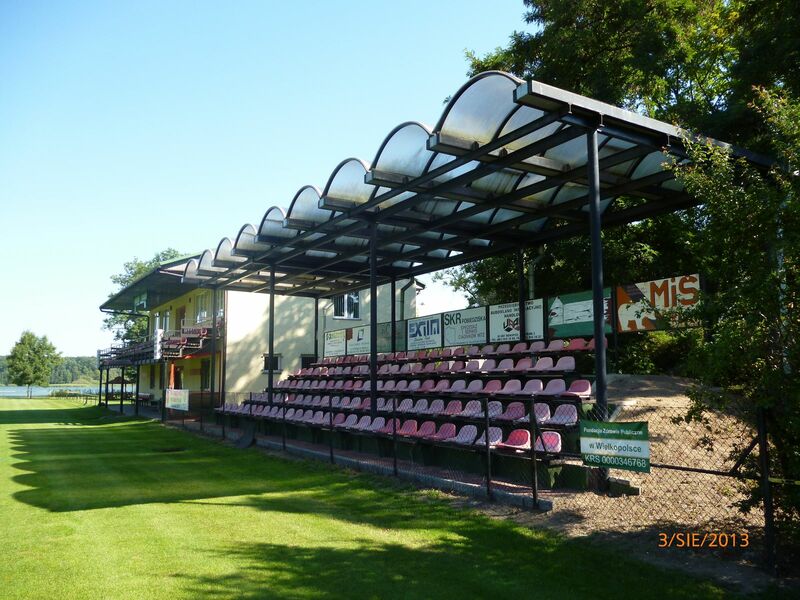 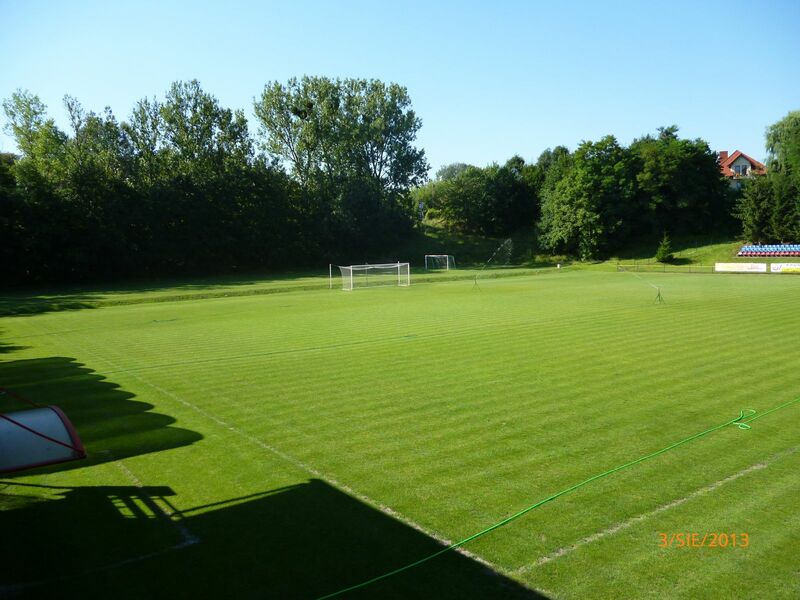 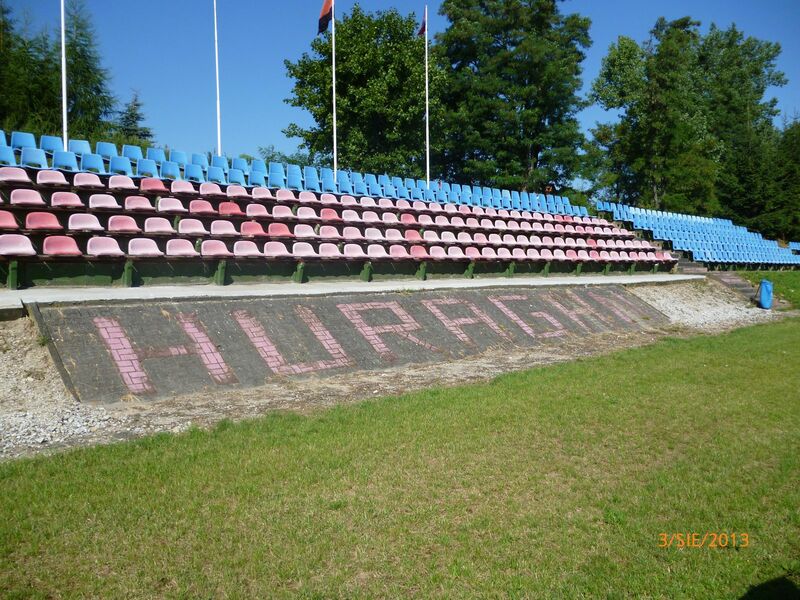 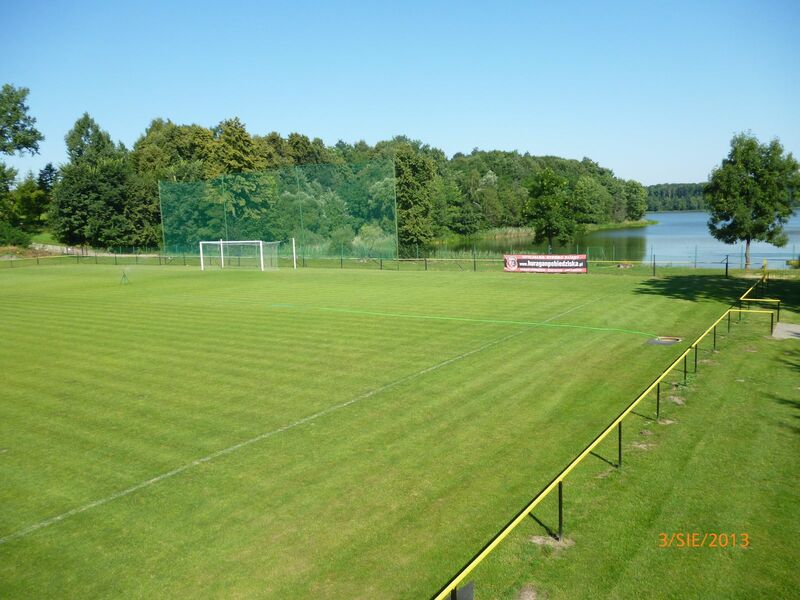 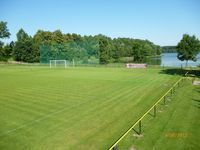 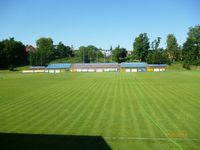 Located just south of the lovely Biezdruchowo Lake (waters of which can be seen right behind the north end) the Pobiedziska municipal stadium serves the local club Huragan on day-to-day basis, but it also received some coverage with live broadcasts of two U19 Euro games in 2006. 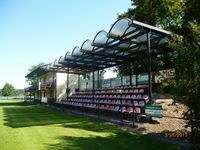 West side is dominated by land embankment accommodating 713 people, while to the east the main club building with a modest covered grandstand are located. 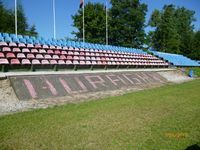 Smallest one is located right on the lakeside, while two stadia from Gniezno are of some significance for domestic speedway and football tournaments. 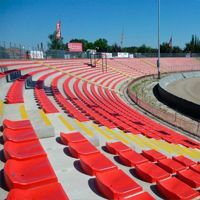 Here are four new presentations!